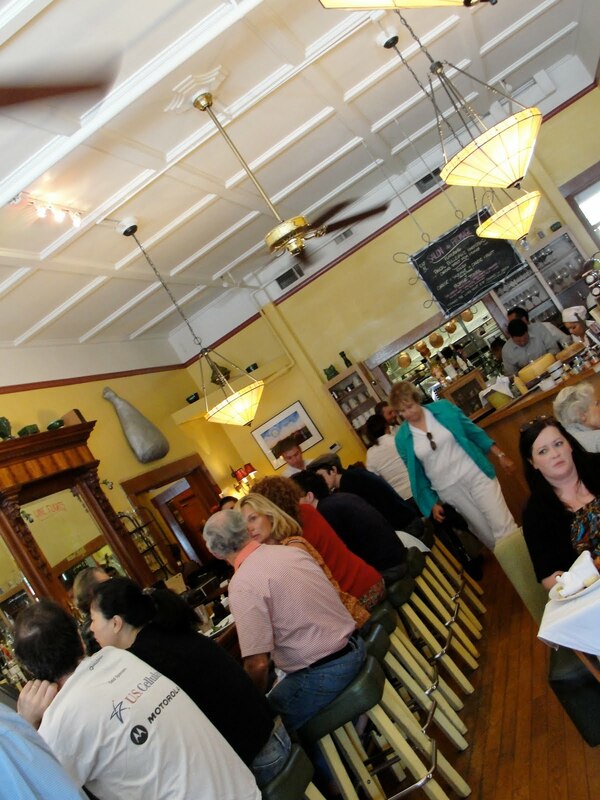 "Country food with a French Passion" is perfected at this restaurant located at the Square in the Downtown Sonoma. The place is amazing, it has a warm comfy atmosphere and a beautiful patio for sunny warm days. Right away, I have to mention that the food is so delicious, fresh and feels indeed like comfort food. It's a great spot before or after wine tasting and wineries tours. As many of the reviews mention, the duck confit is indeed fabulous. The recipe was even published in few specialized magazines, so good is the dish. The top sirloin burger is also an amazing dish, as well as the blt tartine, steak, sardines!! The ability to combine French touches into American country food was something I was curious about trying. Whether including the seasonal fresh ingredients abundant around the Sonoma area or preparing traditional country food, The girl and the fig offers a great comfort meal in a friendly cozy environment. I think this is a great option for brunch. I also enjoyed the fig theme at their restaurants around the Sonoma Valley. The Art of Savouring. 2010-2013 All Rights Reserved. Powered by Blogger.